Because it's a good idea to have what you need in case the unexpected happens. 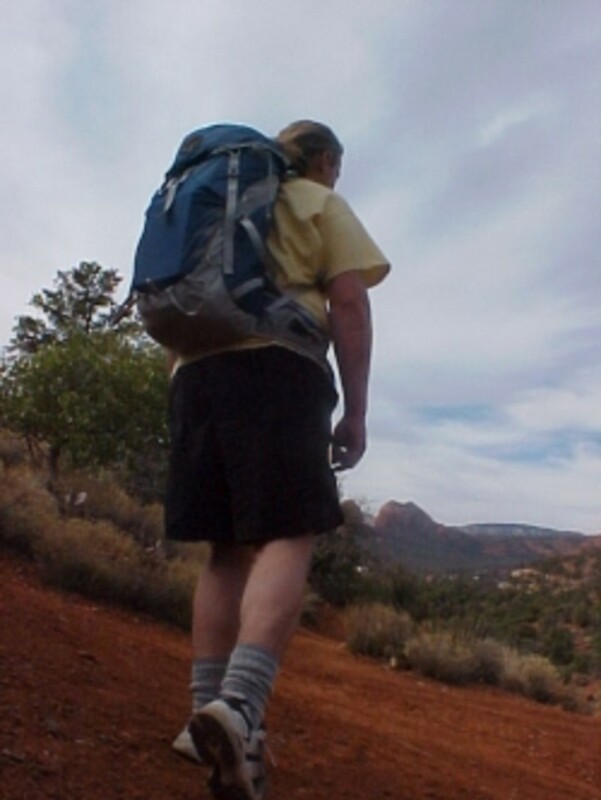 Actually, I hope this pack I've put together with the recreational day-hiker in mind will help avoid some of those common problems in the first place. That's why I've included tools to aid with navigation -- a GPS, a quality compass, and two light sources to help you see to move on if darkness catches up with you. Below are descriptions and features of each recommended item, along with the reasons for including that gear and tips and resources to guide you in its use. You can pick and choose from the contents to build your own 24-hour pack. This is all gear that I carry in my own backpack whenever I hit the trail. As an avid backpacker with a 2,200-mile Appalachian Trail thru-hike under my feet and a Search & Rescue volunteer, I've had lots of time for trial and error when it comes to gear. By that I mean not only testing various brands and models but also learning what can happen if one goes into the backcountry without some basic equipment. That experience, along with some questions from other hikers over the years, wondering what I thought they should have in their packs, prompted me to start my own company. 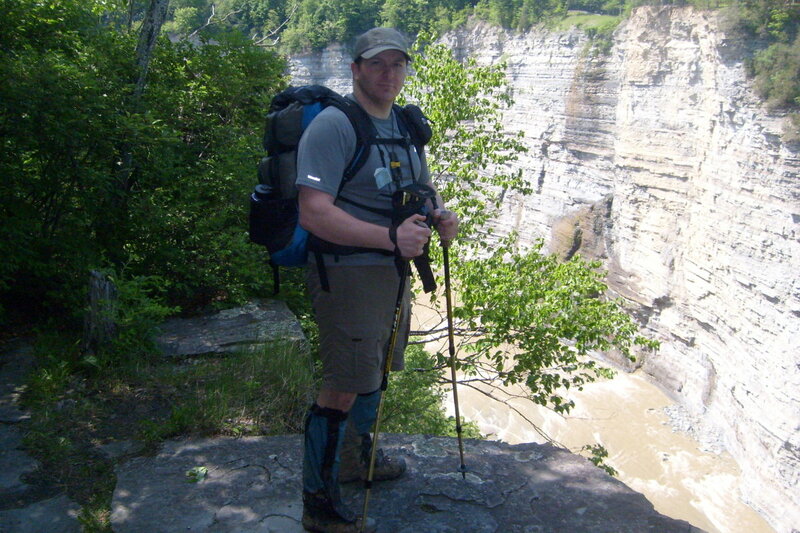 So in January, 2009, I launched my new internet-based company, selling pre-equipped packs for both recreational hikers and SAR personnel. I filled many orders over the years, but due to cost issues with ordering the individual items, assembling the packs and then shipping to customers, I discontinued selling kits as of 2012 and instead now simply recommend these items, which can be purchased from Amazon. I certainly haven't reinvented the wheel with this list of gear; I've simply taken what I consider essential gear for any hiker setting out on a significant day trip, my favorite brands and models of each of those items, and my penchant for being prepared and put it all together into a recommended 24-hour pack. This 24-hour pack is not intended to replace common sense or skill. Neither is this gear list meant to include the full complement of what someone should carry. 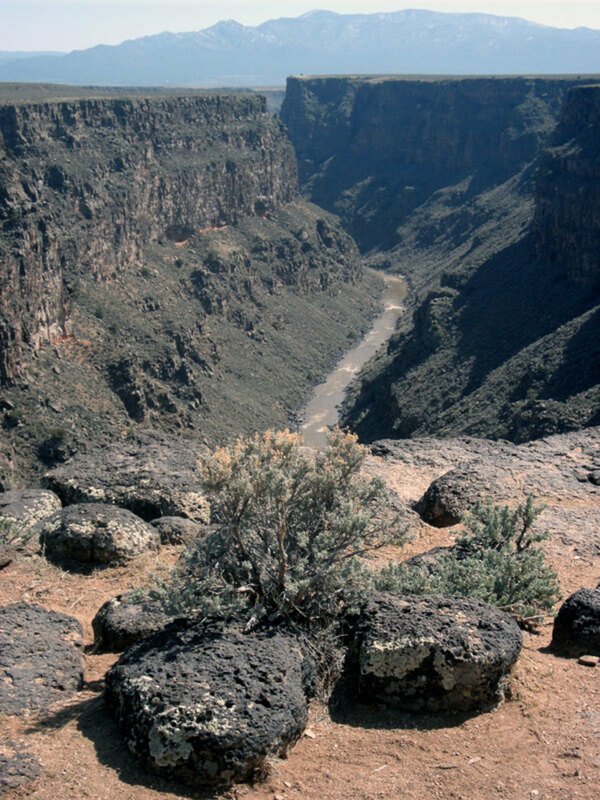 It will have to be the responsibility of the user to add any and all food and water, clothing, shelter, technical and other gear he or she might feel is necessary for the outdoor adventure at hand and ensure that all gear is in working order. One's equipment should always be reviewed and tested before heading out for that hike, and please know how to use all of the equipment in your pack before you go. That being said, I hope you enjoy every moment you spend in the great outdoors! I recommend going with the Osprey brand, because I love their packs for their superior comfort, quality and features, including convenient gear accessibility. As far as which model and size to use, I like the Kestrel 28 for a good-sized daypack. This is a streamlined pack with a top-loading design to help keep gear organized efficiently. This pack comes in two torso sizes--S/M and M/L--and has an adjustable harness to provide a custom fit. At 1600 to 1700 cubic inches in volume and an empty weight of 2lbs/13oz to 3lbs/1oz (for the S/M and M/L, respectively), I feel this is the proper size pack for anything from a short jaunt of just a few hours to an extended day-long trek. This pack has a recommended carry range from 10 to 30 pounds. Other features of the Kestrel 28 include a "Stow-On-The-Go" trekking pole attachment, stretch Lycra mesh front and side pockets, handy hip belt pockets, an integrated rain cover (stowed in outside lower pocket), a hydration pocket and hole to feed the tube, and front daisies with bungee tie-offs. For sizing information and instructions on how to properly measure your torso length, the video below. I followed these instructions when ordering my own Osprey packs online, and the packs have always fit well. It certainly doesn't hurt, when buying a backpack online, to visit a local outfitter to try that same pack on if possible. And bring some items from home (or borrow some from the store) to add weight to the pack to get the feel of wearing it with gear inside. Another optional item is the GPS. I've chosen to feature Garmin products, the brand recommended the National Association for Search & Rescue (NASAR) and the brand I personally use (although I've "graduated" from this model below to one with some additional bells and whistles). There are numerous models of Garmin hand-held GPS units, covering a large price range and a wide range of features and storage capacities. Here, I've selected one of the more affordable and basic models, without a bunch of extras. Those interested in a higher-end model, and who may enjoy the enhanced capabilities of those more complex units, can opt for a different GPS that's more to their liking. 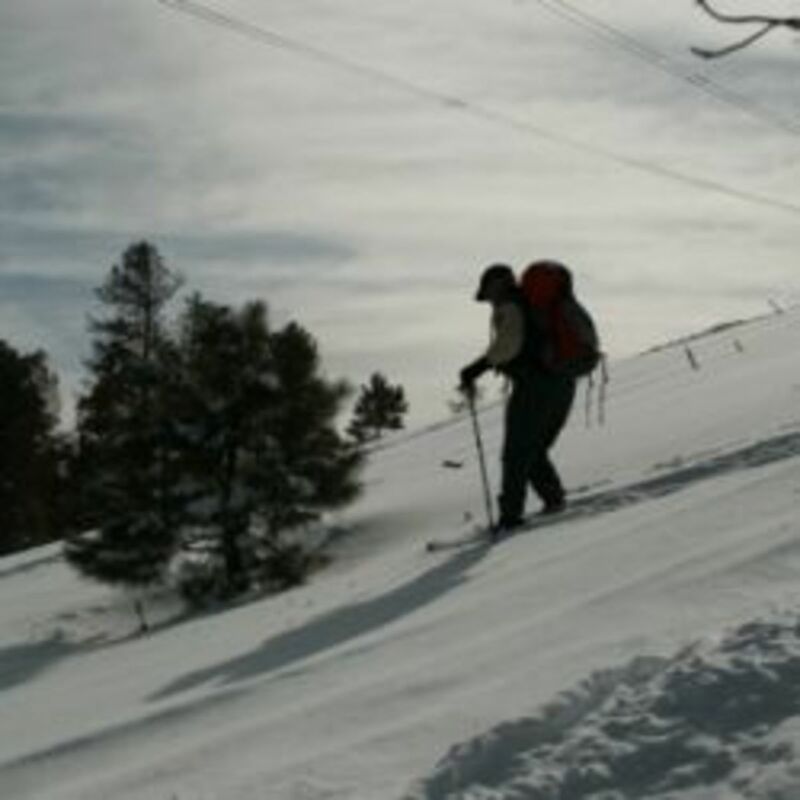 To me, the most important functions of a GPS for the average day-hiker are the abilities to set waypoints and do "go-to's" as well as to determine one's location at any given moment and plot that location on a map. And the Garmin E-trex 10 Worldwide Handheld GPS will certainly do that and more. The E-Trex 10 is a dependable, easy-to-use unit, which now offers better accuracy in heavy cover and deep canyons with its new high-sensitivity receiver than earlier models. If you're new to GPSes or have never used this brand and model before, it's crucial to take out the user guide and practice before hitting the trail. To me, a compass is an even more important piece of gear than a GPS, as long as one knows how to use it of course. Unlike a GPS, a compass doesn't run out of battery power and has a better chance of working if dropped. And it doesn't have to make contact with multiple satellites in order to give an accurate reading. Now, don't get me wrong; GPS's are remarkable (and fun) pieces of equipment. But electronic gadgets have a greater tendency to bite the dust than do mechanical ones, so I'd say it's a good idea to carry both. Besides, a compass adds only a few ounces to your pack. Now, I prefer a compass with adjustable declination and a sighting mirror that can double as a signal mirror. The MC-2DLIN Navigator by Suunto fits that bill. Got a splinter? Need to fix a zipper? Clip a toenail that's driving you nuts? What about some help undoing an extra-tight knot? There are endless uses for the implements that come with a multi-tool, which is why many people--not just hikers--never leave home without one. My husband always has his Leatherman Squirt in his pocket, attached to his key chain, and that small but handy gadget comes out at least once a day. The possible uses on the trail are nearly endless. All Leatherman multi-tools come with a 25-year guarantee, so if yours breaks (as long as it's not due to "abuse, alteration, unauthorized or unreasonable use"), you can return it to Leatherman for free repair or replacement. I've made use of this warranty once myself, and the process was easy and quick with no questions asked. Because most day-hikers intend to be home before dark--and make it more often than not--I've included a light source that one can rely on even if it hasn't been used in years, made by a company one can rely on, too. I've been using Petzl products since I started hiking decades ago, and each time I've tried a new brand, I've ended up back with Petzl. I say that emergency lighting should be part of any preparedness kit. The light should be compact, lightweight, dependable and high-performance. And it should be ready for use today or next year. You may never need it, but it's good to know it's there. 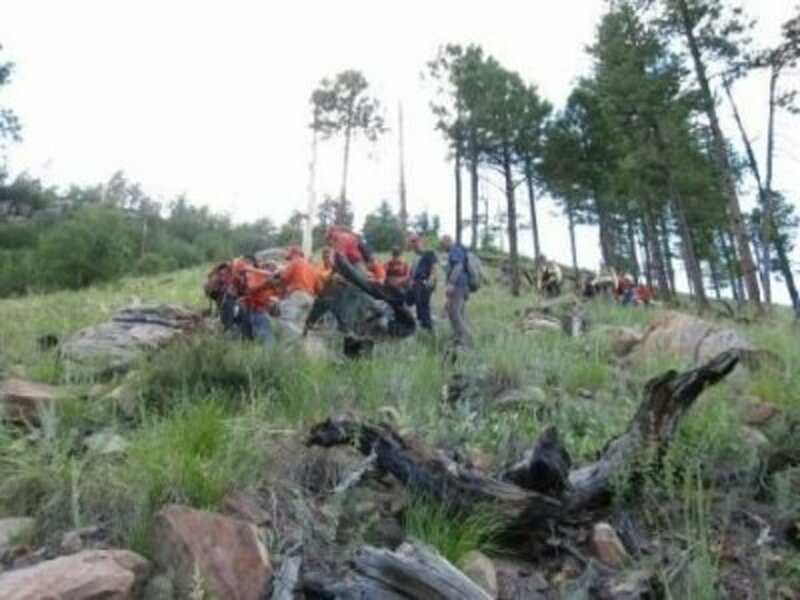 I've been involved with quite a few Search & Rescue missions that wouldn't have happened in the first place had the hiker just had a light source. The Petzl e+Lite is my pick for a headlamp, because the long shelf-life of the CR2032 lithium batteries means the light will work when needed unexpectedly or on that occasional night-hike. The e+Lite can be used in all conditions and can be stored with batteries for up to 10 years and still be operational. It shines up to 19 meters and is practical and easy to use, with a built-in SOS signal in the rare case you might need it. This light can shine for up to four days in a row. Because one light source just isn't enough. Not in my book. For my daypack, I've included a second, long-lasting light source that takes the same kind of batteries as a GPS--common AA's--so I have to carry just one kind, and they'll be interchangeable in a pinch. The Gerber Infinity Utra Task has patented Diode Step-up Regulator technology, providing superior luminosity, a 30-foot beam, and up to 100 hours of burn time on just one battery. The 3.25-inch, 2-oz. flashlight also comes with a lanyard and clip for hands-free use. And it's waterproof up to 10 feet, just in case you end up going for a swim. Sterile Non-Adherent Dressing 3" x 4"
This kit comes in two sizes. The list of contents above is for the .9 kit. Of course, add any personal prescription medications as needed. For an emergency blow ... and a blow ... and a blow. The Windstorm whistle is twice as loud as most popular whistles and capable of being heard above howling wind or other competing sounds. It can be heard up to a half-mile away on land and even works underwater, with the sound traveling up to 50 feet. This is the whistle I carry for potential personal use, but I also have one for using on Search and Rescue missions. It's much more easily heard by the person(s) I'm searching for than the sound of my voice. And it's a lot easier for me to hear someone respond with a whistle like this than if they yell. The patented double chamber design allows the Windstorm to be blown when held right side up or upside down. Because you should never leave home without a map. The Liberty Mountain 11' x 12.5" clear PVC pouch comes with an adjustable cord so it won't wander off. The map case is also a handy place to keep your compass, map tool(s), and a pencil and small notepad. An emergency bivvy may not keep you toasty warm, but it's certainly better than nothing if you get stuck out overnight or need to stay put for a while due to inclement weather perhaps. Weighing just 3.5 ounces, this emergency bivvy fits in the palm of your hand when stuffed in its bag and is made of reusable, repairable polyethelyne bright orange material. It reflects up to 90 percent of your radiated body heat. I've spent more than a few nights in this kind of bivvy on SAR missions, and it did the job, especially when paired with the All-Weather blanket below. At just 12 ounces, the All-Weather space blanket is a multi-use piece of gear. There are grommets in all four corners, so you can use your nylon cord to rig the blanket up as a tarp, then use your emergency bivvy (above) to keep the cold out. This amazingly tough laminate of fiber scrim and aluminized plastic reflects back up to 80% of your body heat and can be used as a ground cover or a shelter, as well as to prevent hypothermia. 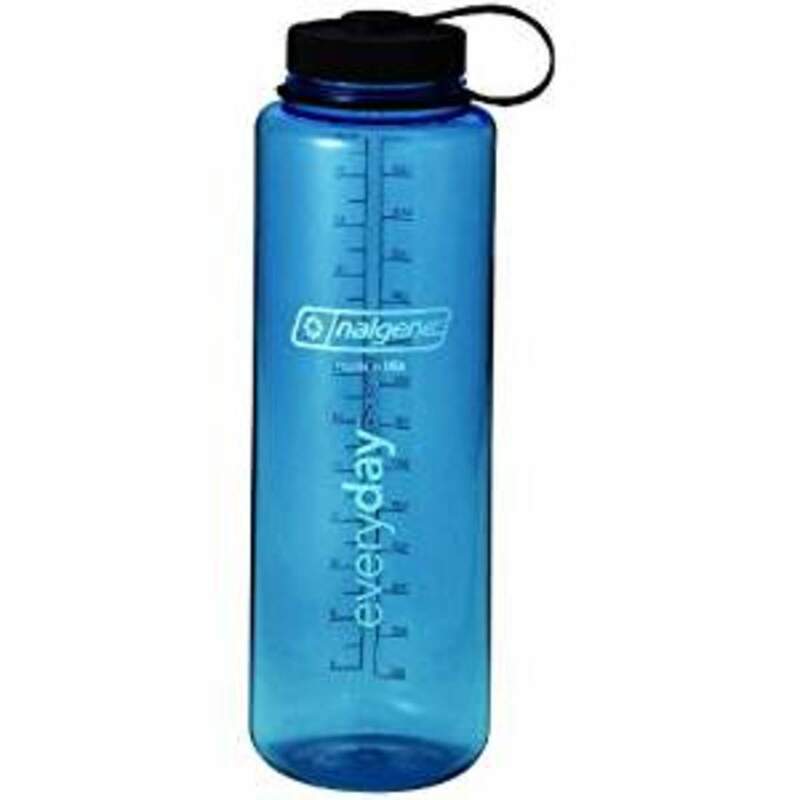 I recommend carrying two 48-ounce, Nalgene Silo water bottles, which are made of 100% BPA-free Polyethylene. These bottle have a wide mouth for the easy addition of drink mix, with a loop-top cap that stays attached in rough conditions. Nalgene Silos fit nicely in the Osprey Kestrel's outer side pockets for easy access. That said, any water bottle is better than none, and I always recommend no less than two liters on any hike, if not more depending on distance, temperature and difficulty. I often use Smart water bottles from the grocery store, which weigh less than Nalgenes and hold up under tough use for many hikes. I carry two hand warmers and two footwarmers in my own daypack. HotHands Hand Warmers are air-activated and will provide up to 10 hours of warmth inside gloves, pockets or wherever you feel chilled. All HotHands warmers are made of natural materials, including iron powder, water, salt, activated charcoal and wood fiber. When exposed to air, these materials combine and react to produce heat through a fast oxidation process. Allow 10 to 20 minutes for these warmers to reach their optimal temperatures. I recommend carrying two, 12-hour light sticks in your pack. These waterproof and windproof 6" sticks provide adequate light without batteries or electricity. The light is produced by a chemical reaction inside the stick when a small capsule is broken, simply by bending it until you feel the snap. A campfire can be a lifesaver, and this I've seen firsthand during Search & Rescue missions. I've witnessed the outcome when a stranded snowboarder was, thankfully, able to burn pine needles for just enough warmth, because he happened to have a lighter in his pocket. And I've seen what can happen when a young, fit hiker sets off for "just a short walk in the woods" on a sunny, winter afternoon without any fire-starting tools at all. Having more than one means of fire-making at your disposal is, in my opinion, crucial. These windproof and waterproof matches are easy to light and will burn up to 15 seconds. They comes with a waterproof Match Container. 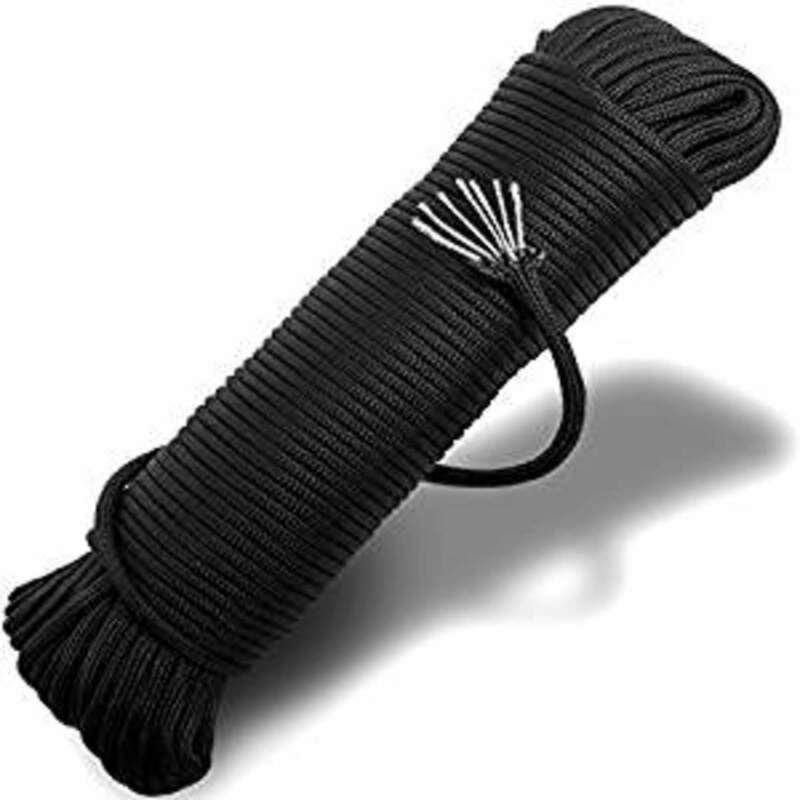 I've always carry a 50-foot length of Equinox nylon paracord. This piece of gear is for keeping your "stuff" and extra clothing dry and organized. 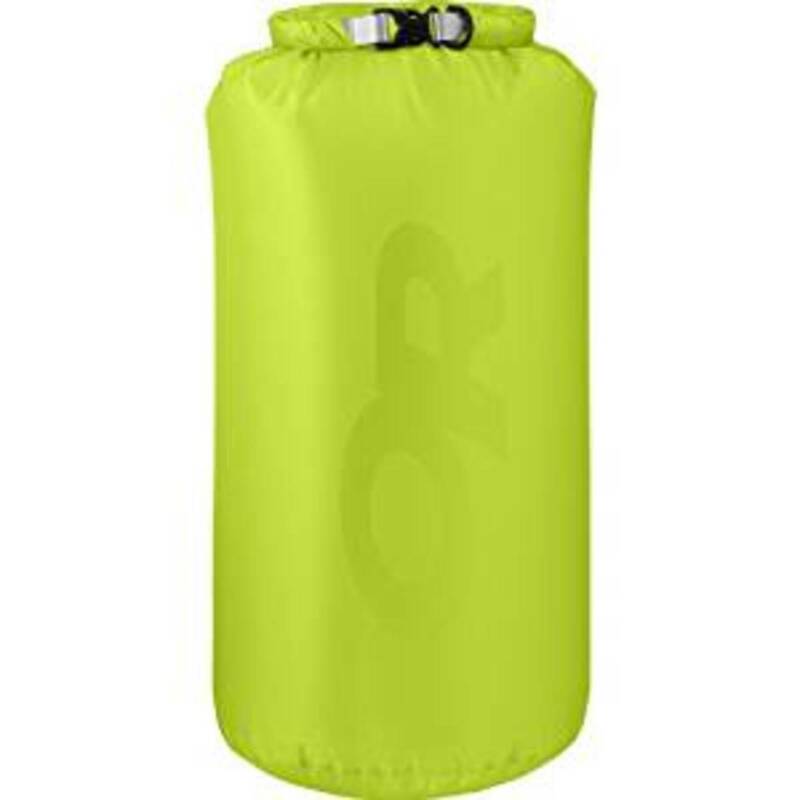 I like the Outdoor Research brand ultralight dry sack, made of super lightweight but tough sil-nylon with fully sealed seams and a roll-top closure, keeps moisture out and your gear in. But any brand of "dry" stuff sack will do. I never leave home (for the trail) without at least one ... but more often two ... of these. They weigh next to nothing. 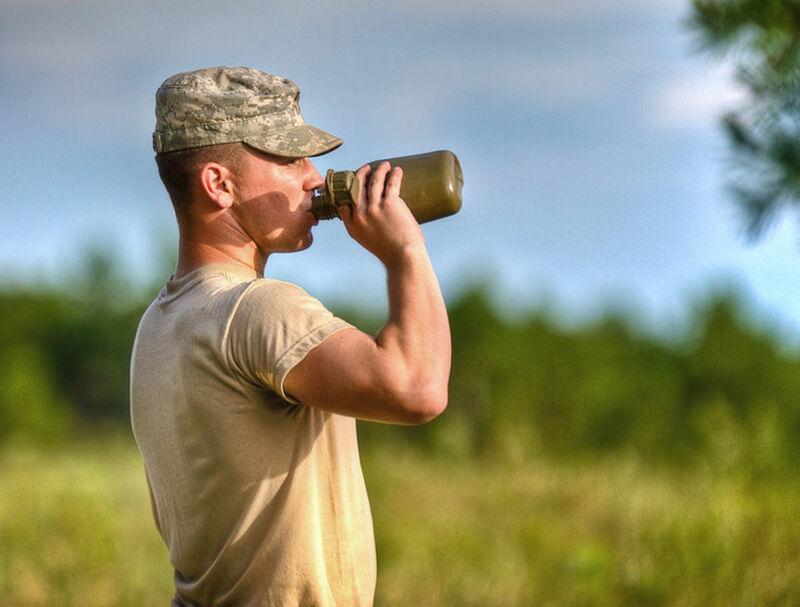 If you're going for "just a day hike," chances are you'll be able to carry enough water, right from tap to bottles, to stay properly hydrated for the duration, and you won't need to obtain additional supply from backcountry sources. But what if things don't go quite as planned, and the hike takes much longer than expected? Or what if it takes more water than you're carrying to quench your thirst or that of your hiking buddy who's been eyeing your water bottles for hours? That's why I always carry some kind of emergency water purification product even on a day-long outing. One option I prefer are chlorine dioxide tablets, namely Aquamira Water Purifier tablets. Each tablet purifies 1 liter of water. 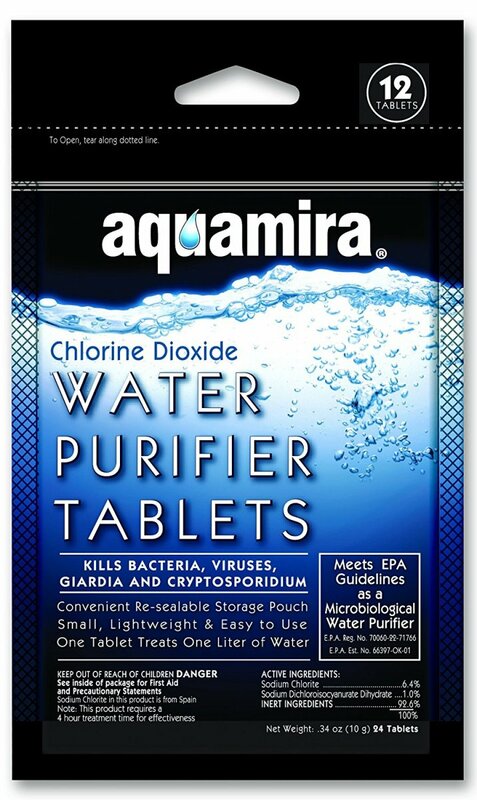 Aquamira Water Purification Tablets release a powerful germacidal agent when dissolved in water, meeting stringent EPA guidelines and making it the safest solution on the market. Each tablet is sealed in an individual, child-resistant foil pouch. To use, simply drop a tablet into one liter of water and wait the required time. Another lightweight, compact item for purifying water is the Sawyer Mini. You can screw it right onto the top of a water bottle and drink the water through the little filter. There's also a straw attachment you can use. I've taken the Sawyer on several backpacking trips. So you don't have to dig a cat hole with your heel or hiking pole ... or use leaves. 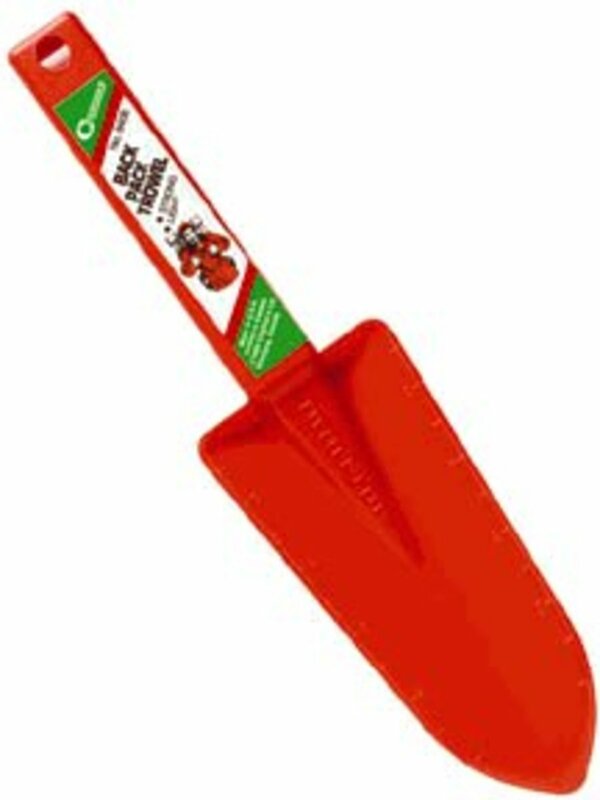 I recommend a lovely orange, plastic trowel like this one here, a roll of Bio-Wipe Toilet tissue and a small bottle of hand sanitizer. For more information on the use of these items, see the section called "The Notorious Cat Hole and The Art Of ... Well, You Know" from my page on "Hiking the Appalachian Trail: What You Really Need To Know." The number one thing not included in these 24-hour packs is common sense. In fact, good judgment saves more people than any piece or combination of equipment. On the other hand, poor judgment can kill. @anonymous: With the pack and all of the contents? I would say about $500-$600. How much roughly would these bags e.g. just the prepack cost? Your expertise and experience shows here in the little details, for example, most of us would never think about getting a toenail problem. It's such a small thing but, as we all know, it could easily make your day miserable. Great job. This is a great idea. I'm pretty sure I wouldn't think to pack all these things on a hike, so it's great that someone else has done the groundwork to put together all the essentials. What a great lens! I'm not a hiker but this seems like a really unique service you provide. A Very useful service, too. 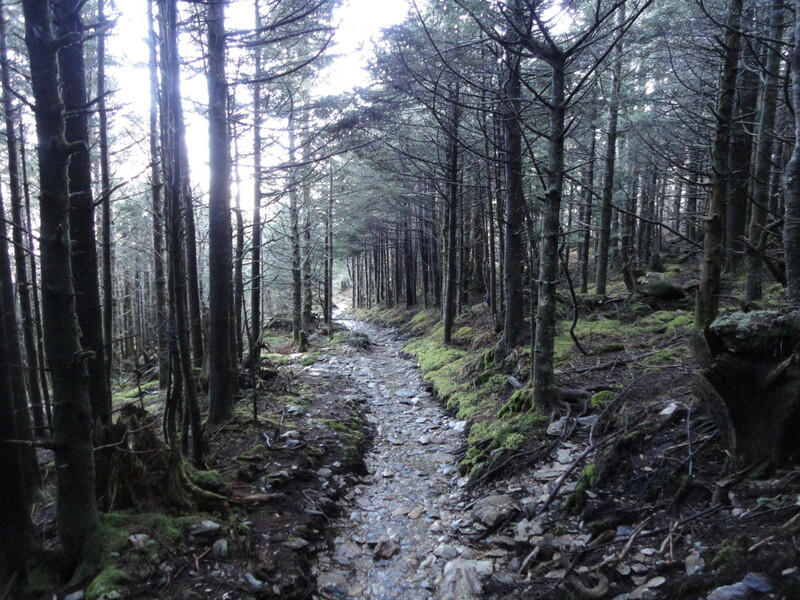 Congratulations on the Appalachian Trail hike. Quite an accomplishment. The Fire-Starting Kit: strangely my husband, a pretty good mountaineering adept, always go whitout it. For me, it's one of the first thing I pack. Goodness that is a lot of stuff. I can't carry all that and my Camelback and my cameras, too. LOL. I need a pack mule. :D Nice lens and some excellent tools to think about next time I strike off into the mountains with my cameras. Thank you for another great lens &amp; another favorite! As always, thorough, detailed, honest, and helpful. If I ever wind up taking a long hike, I know where to go to prepare. Squid Angel blessed! You sure know what you are talking about and I would trust your judgement as an expert in the field any day. Your kits are perfect and your counsel could be life saving. Common sense really is the key isn't it? Unfortunately, it's not always so common. 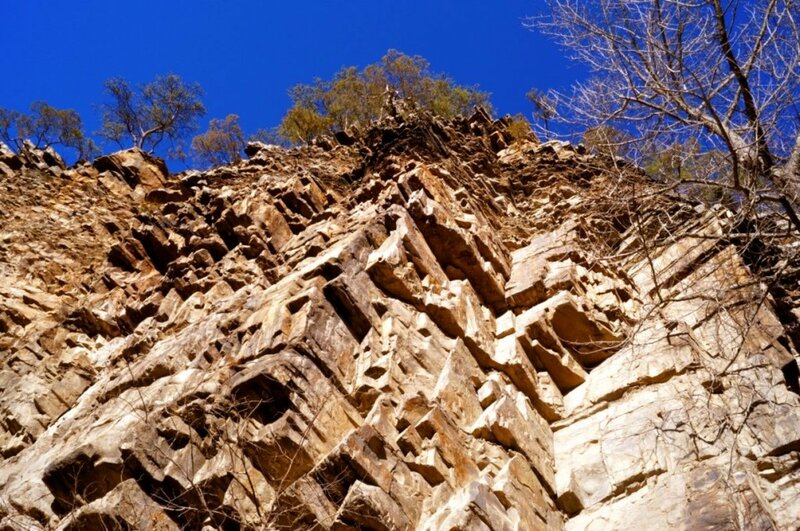 Thanks for submitting another great lens to our Ultralight Backpacking Community. Great idea!